The oath has been taken, the official photo is up, now it is time to get to work for Arizona’s new Superintendent of Public Instruction, Kathy Hoffman. The former teacher and speech therapist admits it is still sinking in. “To really have my vision come to reality and to be getting to work on the issues I really care about has just been like a dream come true,” Hoffman told me. 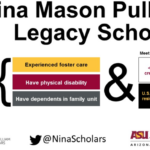 The Nina Scholars program at Arizona State University is now accepting applications for students admitted for the fall 2018 semester. Arizona PBS will receive the highest honor given by the Rocky Mountain Southwest Chapter of the National Academy of Television Arts & Sciences for providing innovative initiatives in early childhood education across the state. 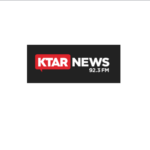 The NATAS Rocky Mountain Southwest Chapter will present Arizona PBS with the Governors’ Award in recognition of the efforts of Arizona PBS Educational Outreach, which specializes in supporting educators and students in the classroom and families at home with PBS educational content focused on national, common core and state standards. Join Children’s Action Alliance and Arizona State University’s Morrison Institute for Public Policy for the release of a new report titled Juvenile Justice in Arizona: The Fiscal Foundations of Effective Policy, as well as an interactive discussion on how Arizona can improve public safety outcomes involving youth. RESCHEDULED! Focus Group – Incentives Available – Share your community’s food needs! 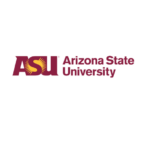 St. Mary’s Food Bank Alliance and ASU are looking for parents with children who qualify for free or reduced school lunch to discuss food needs and resources in your community. 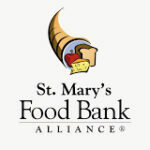 St. Mary’s wants to hear from you about your community’s food needs and resources! Nearly 1,000 Arizona teachers have taken the workshops, benefiting 100,000 Arizona students annually in school districts across the state. 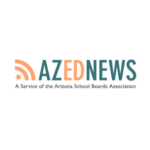 Beyond helping teachers engage students, the program addresses the systemic shortage of physics teachers in Arizona.